Potatoes, carrots, and beets: all root vegetables that may be very familiar. They may even be staples in your kitchen. It took the two participants a handful of minutes (and guesses) before finally presenting a parsnip to Anne and Tyler. The winning participant even admitted it was a mere lucky guess! Watching this food fiasco was the inspiration behind our January recipe redux. I do have a zesty orange-glazed carrot recipe that makes a regular appearance on my table. 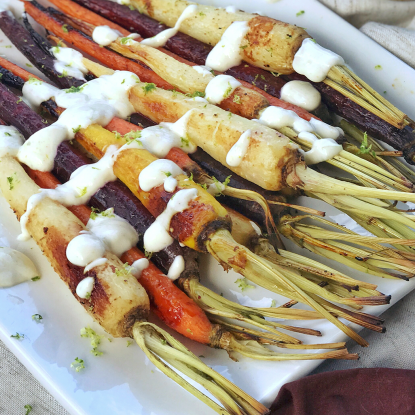 So this is a great opportunity to go a little crazy and swap those carrots for parsnips! While they might look the same, carrots and parsnips have distinctly different flavors. A parsnip is starchier and more fibrous than its orange family member, which gives it a more robust sweetness when cooked! Parsnips also have a slight peppery bite, adding a beautiful depth of flavor when combined with this sweetness. 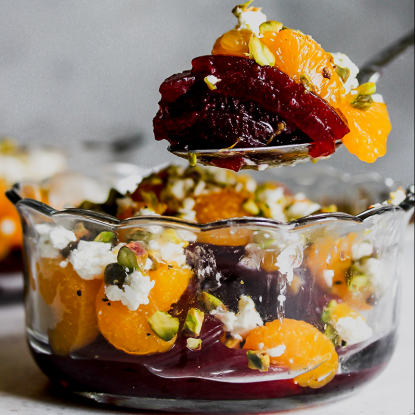 The fresh orange zest in this recipe gives a bright citrus note that brings perfect harmony to your taste buds! After trying this recipe you will not only know what a parsnip is, but you will not be able to get enough! Have you ever cooked a parsnip? 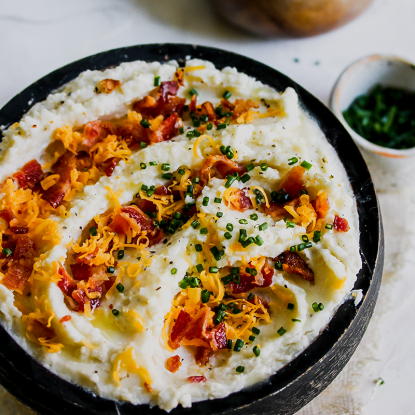 Share your favorite parsnip recipe below! Be sure to share your #foodie pics on Instagram with Holley, Clara, and me!! We love feasting our eyes on all your good eats! Heat olive oil in large skillet over medium-high heat. Add parsnips and sauté for about 12 minutes, or until parsnips are soft. Slowing sprinkle in corn starch, mixing as you go until corn starch if fully dissolved. Add orange juice, stir, and bring to simmer. Stir in orange zest, salt, pepper, and rosemary. Simmer for 5 minutes or until sauce is thickened. 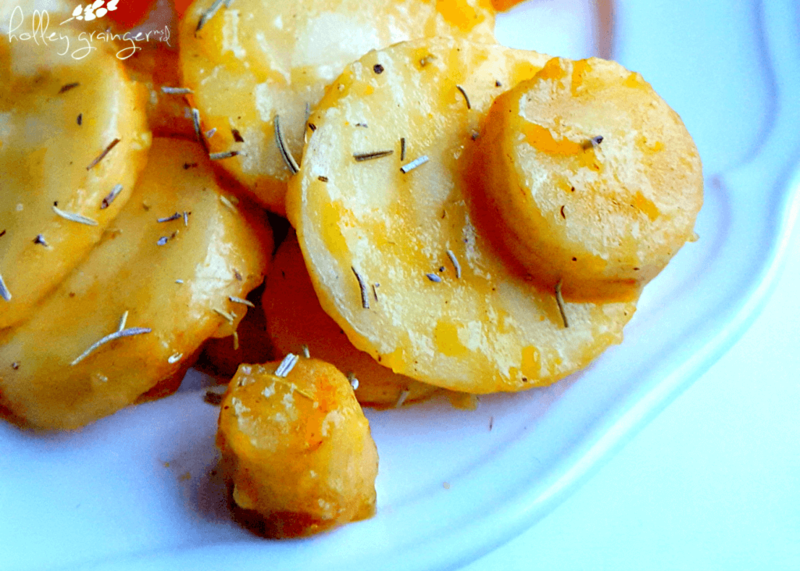 Get to know a new root vegetable: Parsnips! 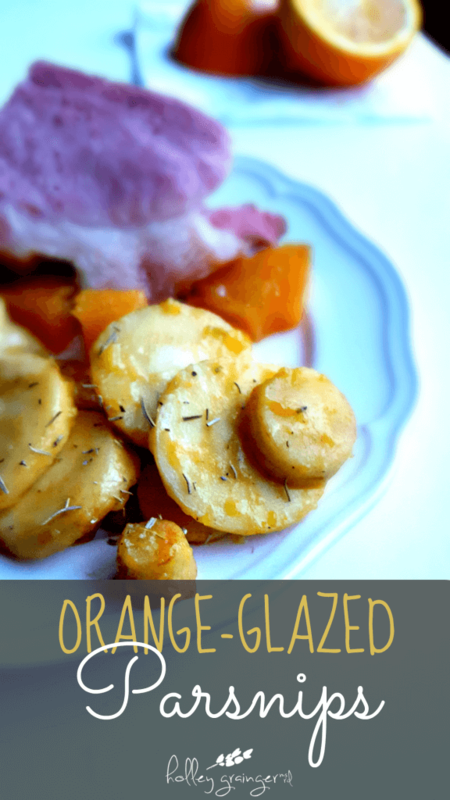 A delightfully sweet and citrusy side that will brighten up any meal! I love fresh parsnips. I have to try these with the rosemary. Yum! I love parsnips! So sweet when roasted as is! So pretty! These look great, Holley. Parsnips are just loverly this time of year! 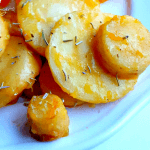 What a fun way to enjoy parsnips! Thanks, Karman! And easy too! Parsnips (along with celery root) are the ultimate winter comfort vegetables in my house. I bet they’re super tasty with the orange! Let me know if you try them, Rebecca! Yum, Holley! 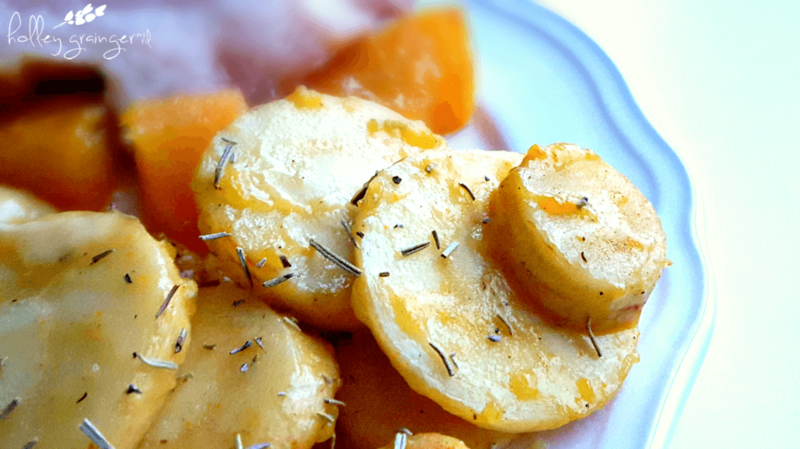 I like roasted parsnips, but I’ve never dressed them up with orange and rosemary, which sounds divine 🙂 Thanks!